The most noticeable takeaway we’ve drawn from our recently launched YouTube charts is the degree to which gaming channels rule the web video space. PewDiePie has regularly scored the most weekly views among all channels, while SkyDoesMinecraft has done the same in the US. What makes these channels (and many other gaming ones that draw millions of views each week) so popular? 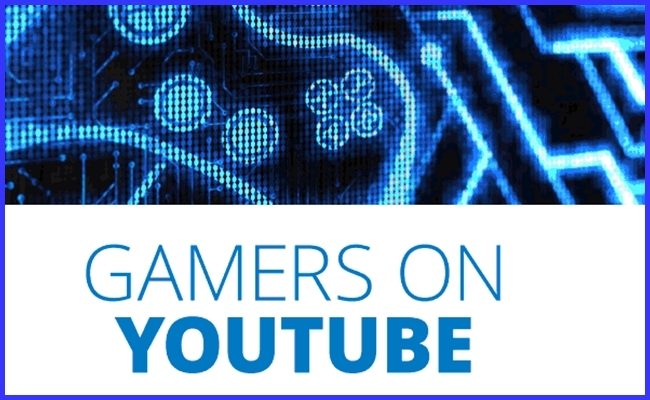 Google has explored that subject with a recent study that breaks down the YouTube gaming community to discover which gaming video types get the most attention. The most telling statistic is a simple one: 95% of gamers watch YouTube videos related to their hobby. Such widespread reach asserts that YouTube is an indispensable source for gaming-related information, guides, and entertainment. What’s more unexpected is the type of videos that draw hits. Brand-released content, such as previews, gameplay demos, and official announcements, is slightly more popular than fan-released content. Underneath the umbrella of fan videos, long-form walkthroughs are significantly less popular than ‘Game Powered Entertainment’, a nebulous term that makes up the majority of player content. There is a clear dynamic between brand videos and fan videos. Before the launch of a game, brand content is far and away the most plentiful source of gaming video views. After release, these videos give way to the fans, who dominate post-release viewership. This expected trend is closely related to a more interesting one: The brands that score more views before release also achieve higher sales. Clearly, if you’re a video game developer and you want your game to sell well, the first thing you should do is give a pre-release copy to PewDiePie.